This book is a collection of "in setting" shots from various stove and fireplace manufactuers. It is essentially a lot of stove and fireplace brochure shots in one place. 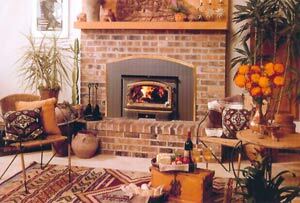 As such it is a good starting point as it lets you see some of the types of stove and fireplace that are available, and also gives you a lot of examples of how you might incorporated them into various room designs. There is a section on stoves in bathrooms which is a nice idea - it would certainly make it nice and toasty when you are having a bath. 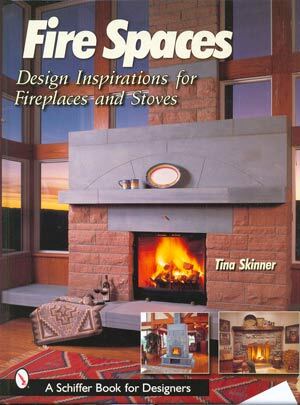 Fire Spaces is very much aimed at the US/Canadian market - most of the stove and fireplace pictures are from US manufacturers and show US products. Having said that many of the design styles of the insert fireplaces shown also have equivalents in Europe. The styles of stove shown are not up to date and the range is not comprehensive (certainly not in terms of the European stove market) so this is worth bearing in mind. Where can you get Fire Spaces? Fire Spaces is available online from Bushwood Books. P & P is free within the UK and £5.50 for other surface mail orders. All major cards are accepted as well as sterling cheques.